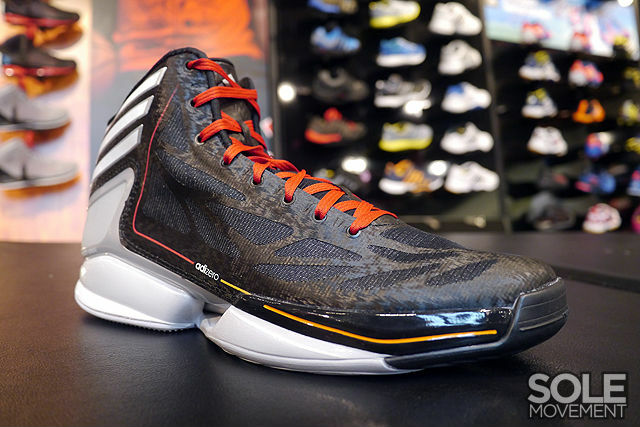 In addition to the "Crystal" colorway, the adidas adizero Crazy Light 2 is also available in a new black-based make-up. 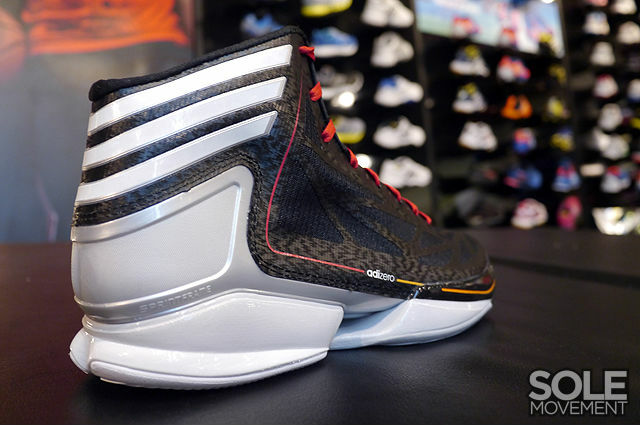 In addition to the "Crystal" colorway, the adidas adizero Crazy Light 2 is also available in a new black-based make-up. The shoe is backed by white stripes and a metallic silver SprintFrame, which runs down to the midsole and shares the outsole with white. 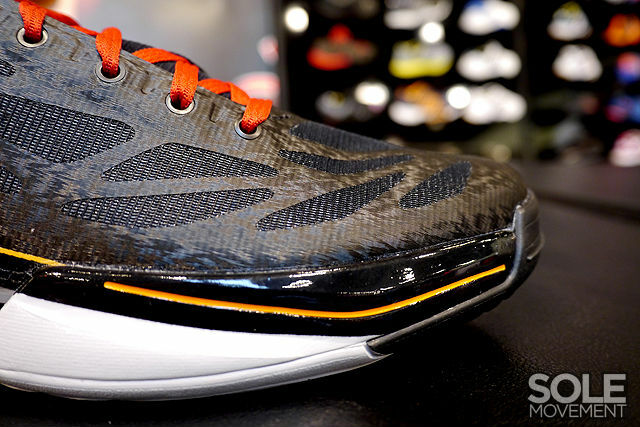 For a little color pop, red and yellow hits have been added to the laces and adizero pinline. 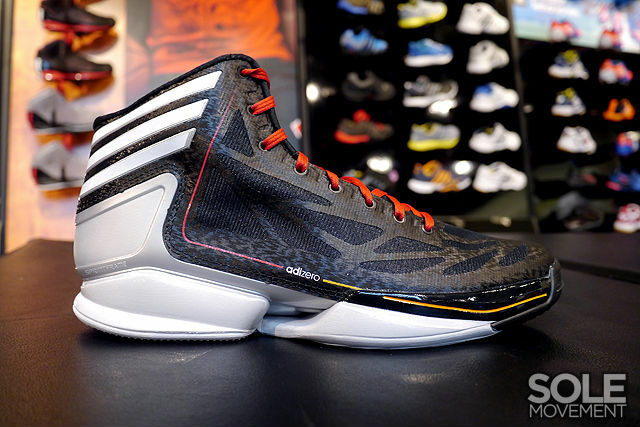 This Crazy Light 2 is available now at retailers like Eastbay.